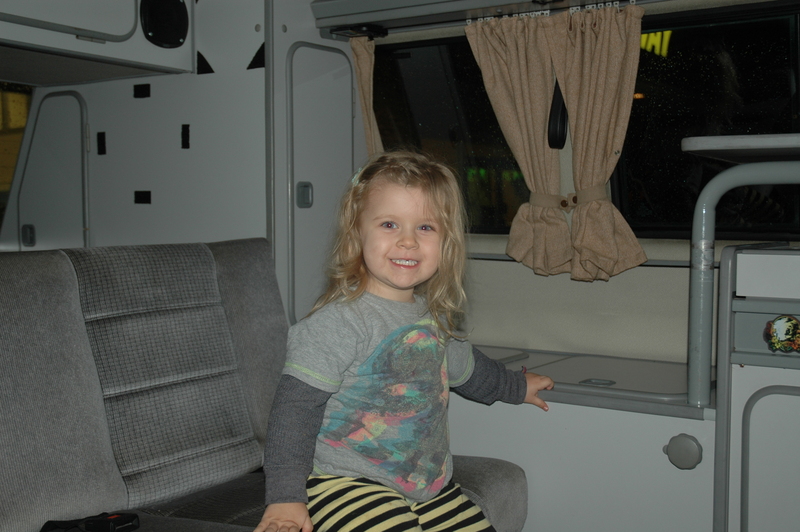 It gives me great pleasure to introduce, Storm, our ’87 Syncro Westfalia. 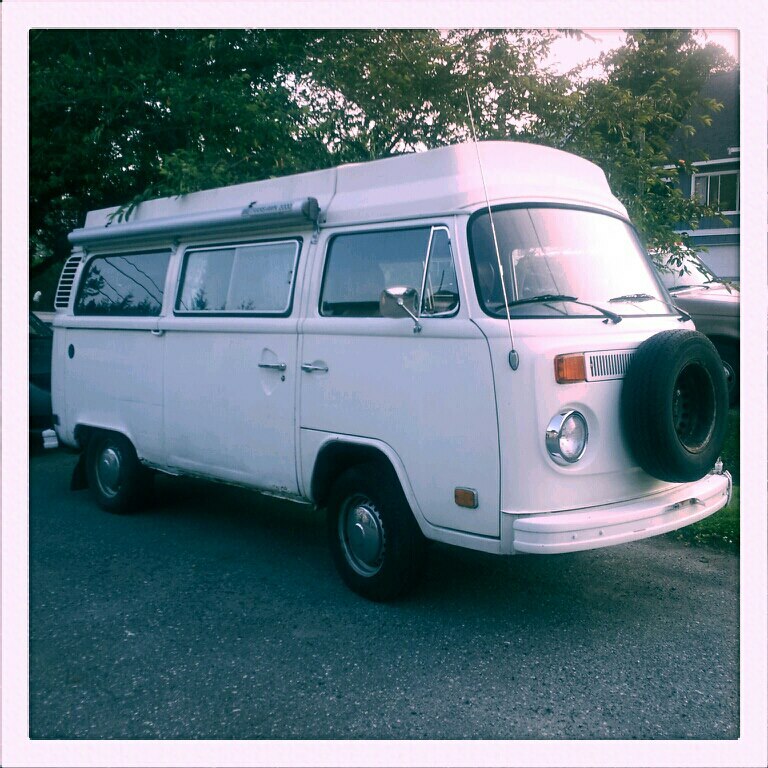 She is a three knob Syncro: the white unicorn of all Volkswagen vans and buses. She comes dressed to the party with a SubaruEJ25 conversion, Trail Master suspension lift kit, Audi A6 Quattro big brakes, Go Westy plate steel bumpers, 16″ CLK forged alloy wheels, and too many mods to mention. This is our vacation home, and we love her. 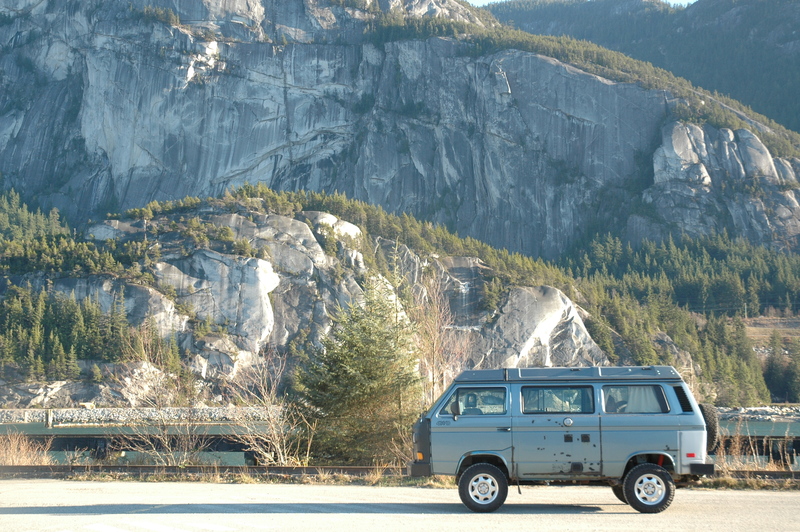 Our fist VW bus was basically the red-headed stepchild of the Volkswagen family: a ’78, 2.0L, fuel injected work horse; equal parts Riviera, home-brew, and rust. This beauty sent us spiralling into dreamland with her promise of endless possibility and adventure. She whispered sweet nothings into my ear and I ateit up with stars in my eyes and my head in the clouds. The bus was pretty much a never-ending rolling laundry list of projects …except there was very little rolling, mostly just emotional laundry. She has since been retired to greener pastures. Though a large contributing factor to stress-induced alcoholism, her biggest gift to us was introducing the wonders and possibilities of life on the road. 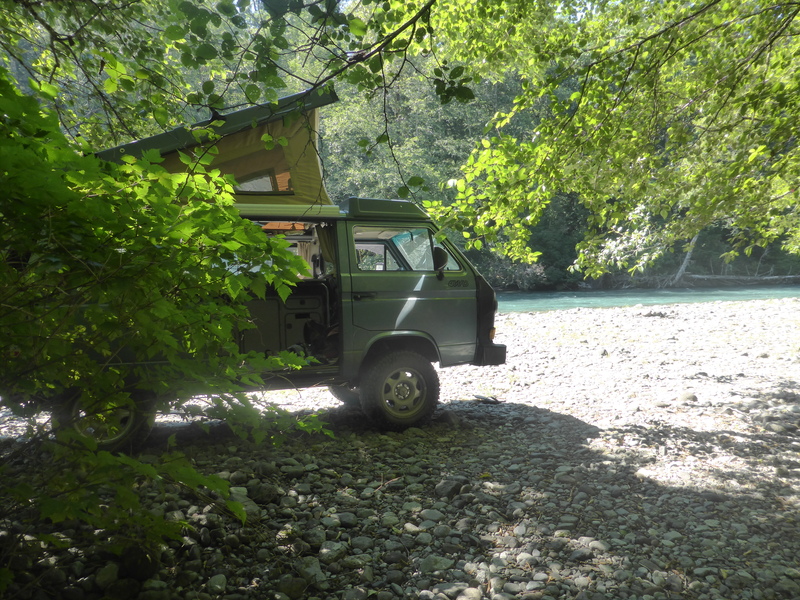 I started to catalog my trips and the work I have done on my van at http://www.daswolfgang.com . May be of interest as it’s a Westy? Anyways, i look forward to reading more. Thanks so much for popping by and i will for sure check our your trips!